You’re not going to always “win” or be in 1st place. Isn’t that what we all end up doing? I do miss my “lived in” home (to an extent). The little things that can really matter! You should be angry at times! There’s only so much living you can do in comfort! Bahaha! So true, but not when you make it my way! Exactly what I need! Haha! We need to devote more research and resources into it! September is national recovery month; learn something! Words to use to write with killer engagement! Design a perfect image for anything! The broad outline of the book writing journey! What was your favorite techy invention? You know my strong feelings one this! Is less enough for your business? And now you don’t have to be “most people”. I feel like it’s the only word you hear now! It’s just about working hard! And you thought your bed was uncomfortable! 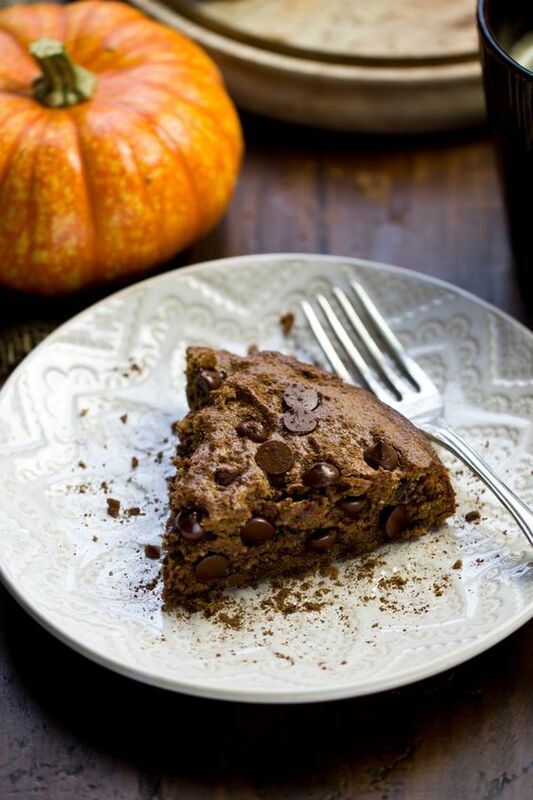 Vegan Pumpkin Spice Chocolate Chip Cookie Cake. How’s that pumpkin spice for yea!? 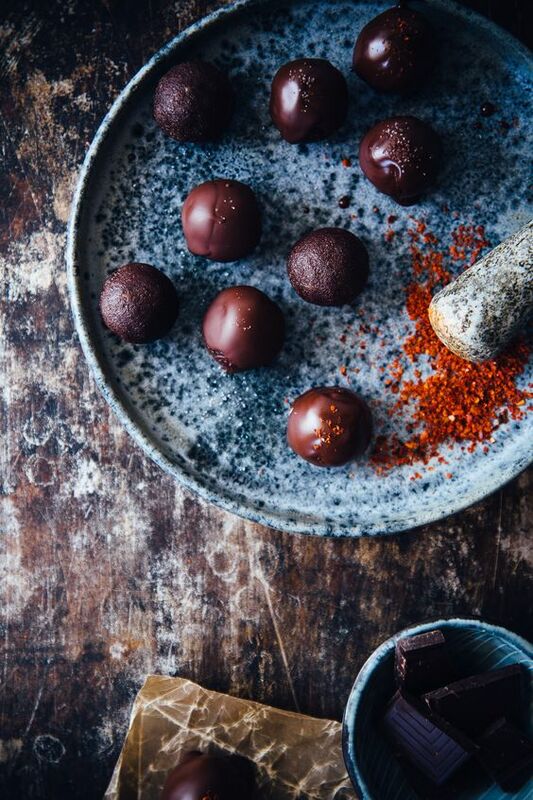 Chocolate Covered Raw Fudge with Chili. A beautiful pop of surprise! 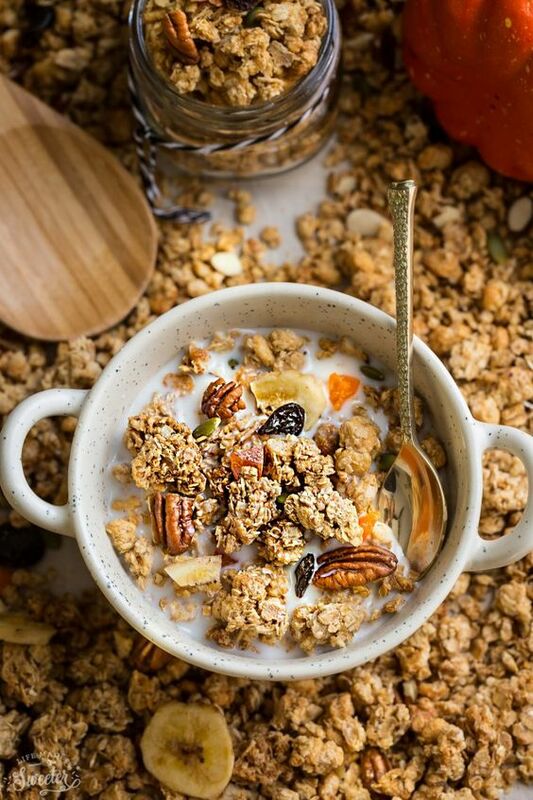 Pumpkin Granola Clusters. That is beyond clustery! 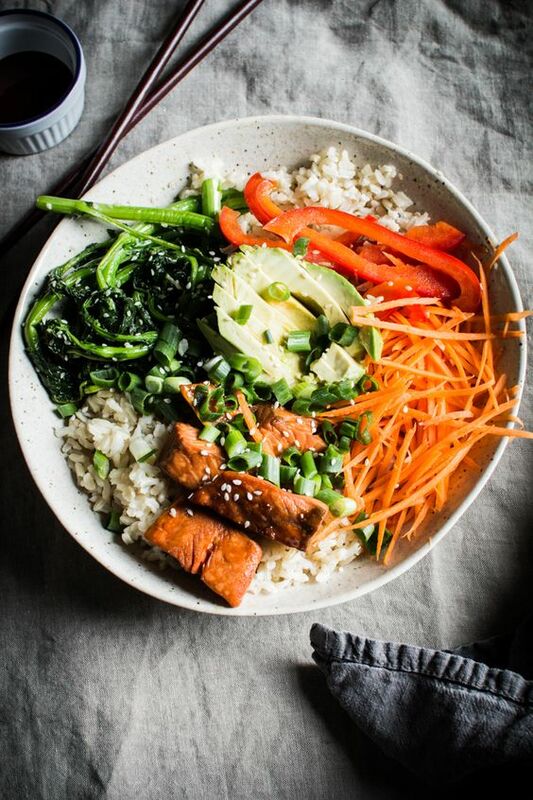 Broccoli Rabe and Maple Glazed Salmon Bibimbap. This will just heal the foodie soul! 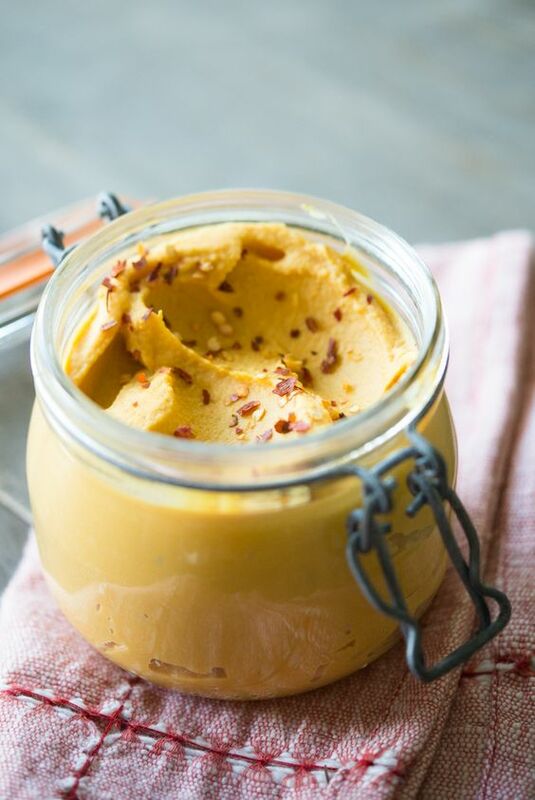 Paleo Nacho Cheese. This looks so good! 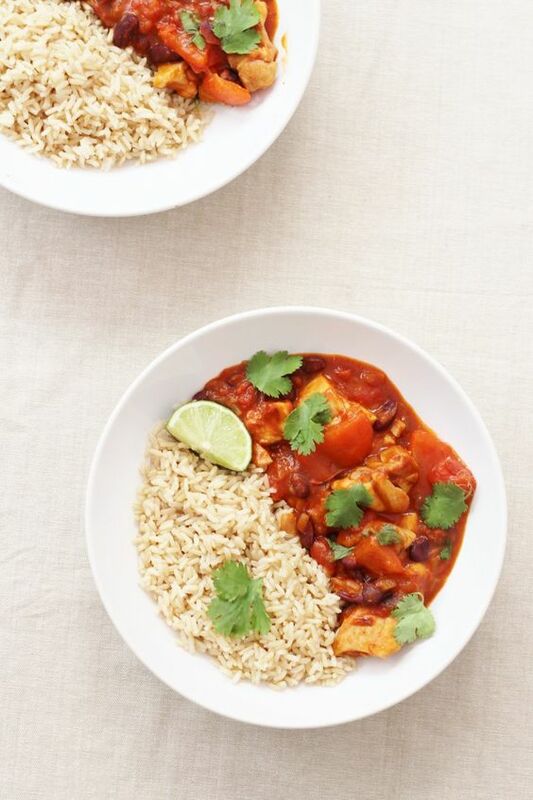 Chicken Chilli Con Carne. Need some more comfort food? Yes! 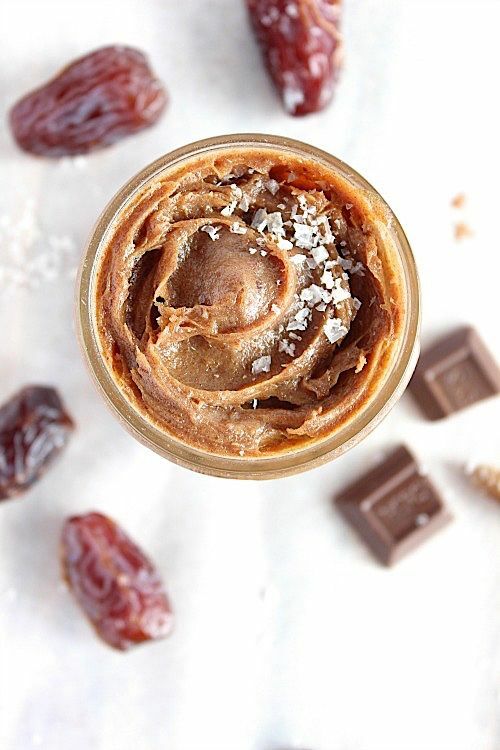 Healthy, Homemade, 2-Minute Salted Caramel. Our sweet dreams! 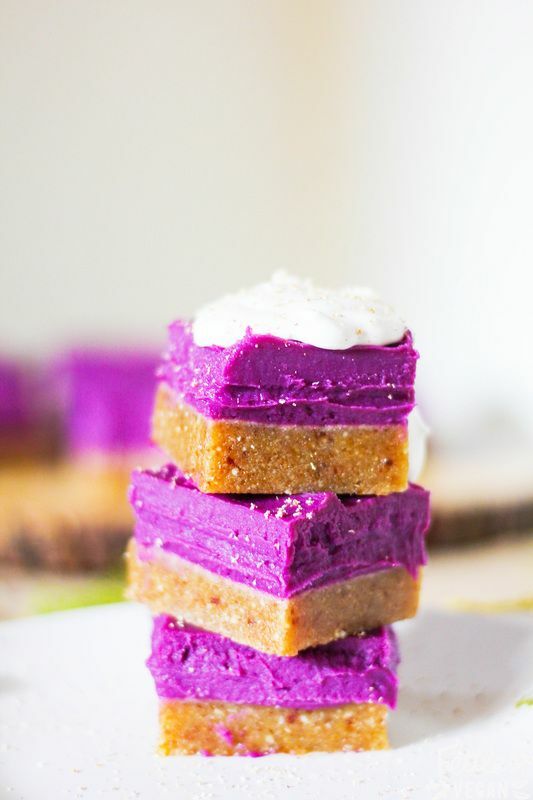 Purple Sweet Potato Pie Bars. Be prepared for the PSP season!!!! + I believe I will finally be getting a new Phone (after like 7 years!) this weekend! I can finally use Instagram again! + What’s your busiest day of the week? Mondays….so sad! We all have habits we need to work on! Oy, rainy and cold is no fun. Some people love the rain, but I’m okay without it. Though, I don’t mind a run in a light rain. I don’t know what my busiest day is…maybe it is Mondays. Though, I’d say Tuesdays and Wednesdays can be busy as well. I just always look forward to Friday. Ha! Oh my goodness, Rebecca, you blow me away each week with the wealth of information you share. I have bookmarked a few sites and will be back over the weekend because I really need to do some serious reading. Especially on design and book reading. I don’t know how you keep the schedule you do- whew! Glad to hear you have hot water though, lol. When we lose those kind of things, it really gives us an interesting perspective, doesn’t it? Have a great weekend, Robyn! hahaha, when did you like Mondays?! I don’t think I ever managed to convince myself to. I hope you’re hanging in there! (The monsoon was not fun. ._.) Wet feet with socks = terrible times. I’m with you on scaling back, haha. 3 posts/week is already enough work! I think I started the week and ended the week on a very bad note….just 10 minutes ago I spilled an entire glass of almond milk and 4 TB of protein powder all other the table, floor, chair….MESS! I’m ready for bed! Haha, to dry weeks! Have a lovely weekend too, Demeter! this a great roundup. I have a lot of those bad habit!! Yay congrats on your internship! Hope you start to feel less busy and overwhelmed haha. You’re doing a great job keeping up with everything though! The Friday Finisher is a Strength and Sunshine staple!